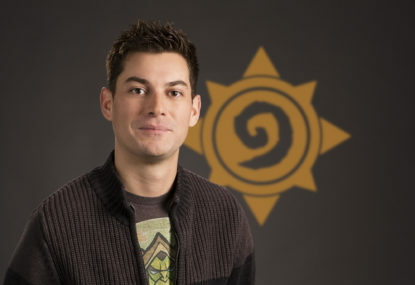 We recently had the opportunity to speak with Hearthstone’s Lead Final Designer, Dean Ayala. In part one of this three-part interview series, we discuss the game’s newest expansion – The Witchwood – and work out exactly what goes into creating a Hearthstone expansion. Ayala spoke to us last December, detailing just what makes the game such a compelling viewing experience from an esports point of view. Since then, he’s moved up the ladder to the role of Lead Final Designer, which sees him tasked with testing and balancing the new cards in development. 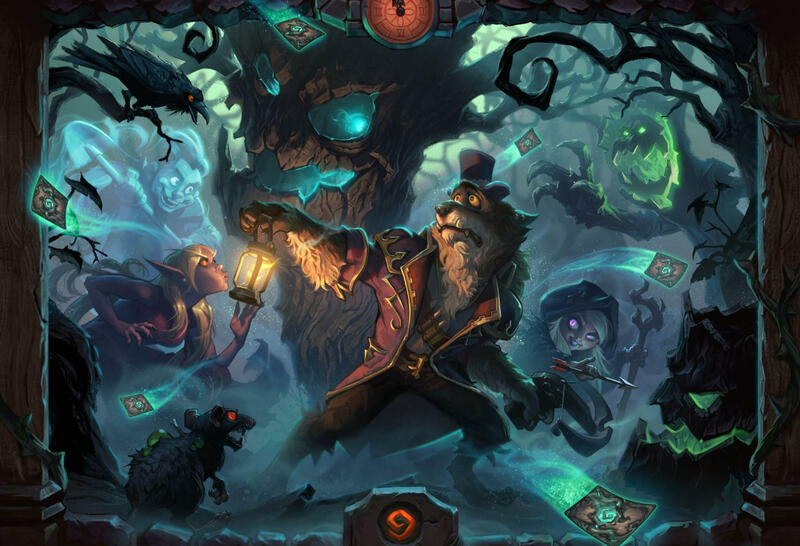 Here’s what he had to say about The Witchwood, and how Hearthstone expansions happen. Tomorrow, we go in depth into the expansion’s new mechanics and keywords and on Sunday, we’ll have Ayala’s insight into how many of the more notable legendary cards came to be. The Roar: So, how does it feel having The Witchwood out there in the wild? Dean Ayala: It feels good, man. Whenever you work on something for a long time, you’re always sort of like, itching to get it out there in the public, because it’s been a while since we worked on The Witchwood. It’s been like, six months or something like that, since we were last really doing a bunch of card design, so it’s nice to finally have it out and have set rotation and stuff like that, as well. Set rotation is always a cool, new time. People are exploring a bunch of new decks and everything that was really popular and did really well, a lot of that has gone away, and you have a bunch of new stuff, so, exciting times for us, now. The Roar: I can imagine. Obviously, because The Witchwood has brought with it a new standard year, and some sets have rotated out, do you find that when you know a set is going to coincide with a soft reset for the game, you’re able to make more bold design or balancing choices? Or, actually, do you have to play a bit more safe knowing that this set will be in standard for quite some time? Dean Ayala: I think that it doesn’t really change a lot from the average set. We go into every set trying to create a bunch of new strategies, and then we have the ability to build on those in the future, or taper off that. So like, with Jade, we didn’t add more Jade cards over time. I think the biggest difference is the set at the end of the year is the one where we take a little bit more risk. With Dragon Priest or something like that, Mean Streets of Gadgetzan was the last set of that standard year, so making cards like Drakonid Operative, you can do that a little bit easier knowing that a bunch of cards are going to rotate out. So, it’s kind of like the last hurrah for that style of deck. But in the beginning of the year, we’re still taking a bunch of risks, but it’s really just about creating a bunch of new archetypes. And we know that we can build on those going forward, or stop building on them if we need to. The Roar: When you’re mapping out a new expansion, are you more of less making 135 cards to order? Or do you have a larger number of card ideas out there and a number get hand-picked and refined into the expansion’s themes and goals? Dean Ayala: 135 cards is a number we try to get to with every set. There’s a bunch of reasons for that. I think that amount of cards is just good enough to create a bunch of new strategies without honing in on only one particular thing per class, but it’s also not too many so you feel like you don’t have to own 300 new cards a set. [Otherwise] there’s too much new stuff going on, too much change. So [this way], you feel like you can still keep up with the game. So, 135, we’re not sure is the exact right number, but it’s the number we’re sort of honed in on, now. Because before, we were doing a lot of solo adventures, where we’d do 40 or 45 cards. And those sets are really cool, still, like League of Explorers created a bunch of new stuff, but we just didn’t think it was enough every three months. It tended to get kind of stale if you only release 40 cards and then four months go by. It’s hard to make as big of an impact. In terms of how many cards we go through over the course of a set, initial design works on the set for 12 weeks and they take it basically from zero cards to they get up somewhere probably around 200 or so, and then they’re cutting that down to somewhere around 150, 155 cards. That comes to final design, which is doing a lot of balance and redesigning and over viewing mechanics and deciding, for example, if our Death Knight hero cards are the cool thing we want to do, or do we want to go in a completely new direction, or do we want to do Echo, or is there something else entirely that we want to do or we want to change that a lot. And then we sort of hone that 155 cards down to 135 over time. Because a lot of times, initial design will have a lot of cards that they like, and they’re not really sure which cards that they want to cut in order to get down to the number that we want, so final design usually is doing that, with about six or seven weeks left of development time, we try to get down to about 135 cards and then work on that set, specifically. The Roar: What are you most proud of in this expansion? Dean Ayala: I think so far, just the diversity of decks. I think the odd and even decks had the potential to go really wrong, too. It’s like if the odd and even set was something that we were banking on to be like, “Hey, this is gonna be great, a bunch of new decks and people should be excited about it,” and then none of the decks were played, that’s be a pretty bad thing for us. And also, we thought that, at the start of the game, these triggers happen. Baku the Mooneater and Genn Greymane, they both do a thing, like, Prince Malchezaar did as well, where at the start of the game a trigger pops up and it changes your hero power. That’s a little bit strange. I think if you’re coming back to Hearthstone like, “I’m gonna start this game,” and then this thing pops up on your screen before the game happens and your opponent’s hero power is totally different. That’s not exactly the easiest thing to understand what the hell is going on, so I think if every single deck was odd and even, that also would have been a downside. But luckily, I think we hit a pretty good sweet spot where there’s a bunch of, you know there’s Odd Rogue and Odd Paladin, Even Paladin. I’ve been seeing people play Even Shaman as well. There’s a pretty good balance of those games, like five per cent or something like that, or ten per cent of games or whatever it is. So I think we hit a pretty good mark, there, and just the idea that there’s, last time I looked, 15 decks that are above 50 per cent win rate that [makes you] feel like you can go out, and can be competitive if that’s what you want to do, but there’s still so much out there that there’s certainly something for everybody. If you’re an aggressive player, there’s a bunch of decks for you. If you wanna do something new, related to The Witchwood there’s a bunch of stuff there for you. And if you wanna play decks that you’re used to and there’s Burn Mage and like, some variants of Cubelock that are there, that are sort of like older decks that are still around. Those decks are for some people as well. So, just the diversity of the decks, and there’s nothing really that’s dominating out there. I guess from someone that works on game balance, that’s something that I think that our team, specifically, is really proud of.